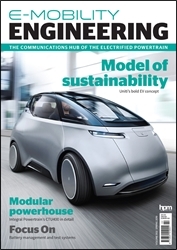 This issue contains insights into AI and the Uniti One EV, a dossier on the Phi-Power PHI301, we look at the EVIE street-sweeper, digest the Xing Mobility Miss R and focus articles on battery management systems and testing and simulation systems. We report back from Electric & Hybrid Vehicle Technology Expo and ponder hydrogen fuel cells. Click 'DETAILS' for more information. This new launch focuses on the engineering behind all electric and hybrid vehicle powertrains. 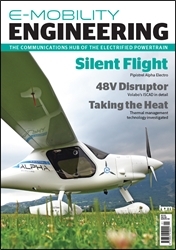 Highlights in this issue include a conversation with Ricardo's Steve Doyle and an insight into Power Semiconductors. Dossiers on the Pipistrel Alpha Electro and the Volabo ISCAD motor. Show reports from Electric & Hybrid Marine World Expo 2018 and the Electric & Hybrid Vehicle Technology Expo 2018. We also have focus articles covering thermal management and connectors. Click 'DETAILS' for more information.